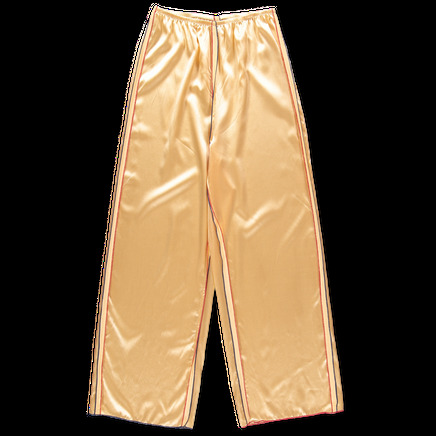 Domo Pants Silk Satin from Baserange. High waisted pants, straight cut and elastic waistband. Inside out seams with red and blue babylock finish.